Looking for something quick and easy to make for dinner? 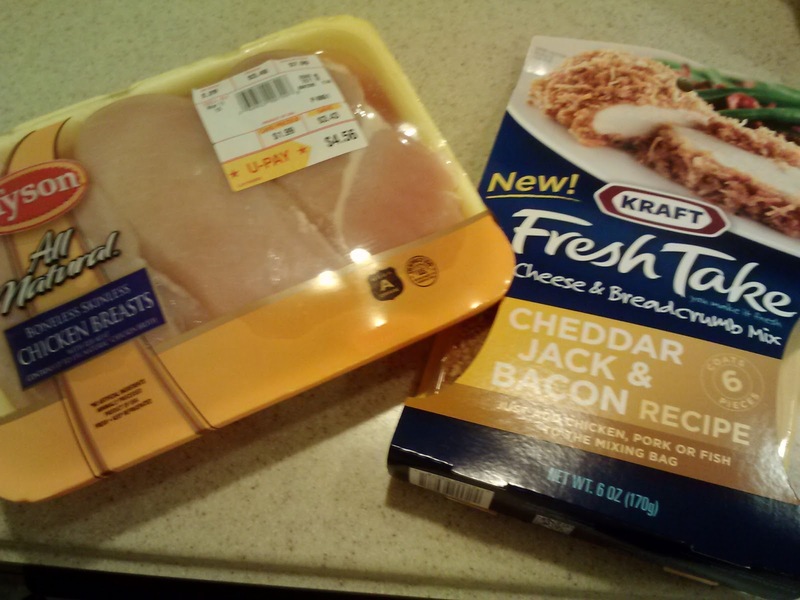 Don't feel like spending a lot of time on dinner after a long day at work? 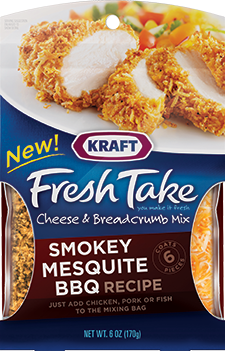 Try a Kraft Fresh Take - this has become a regular in my house! 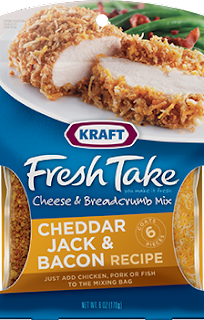 It's simple... pick up a pack of chicken, pork chops, or fish and a Kraft Fresh Take (in the refrigerator section with the cheese). 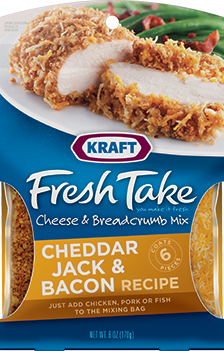 Open the fresh take and mix the bread crumbs with the cheese. 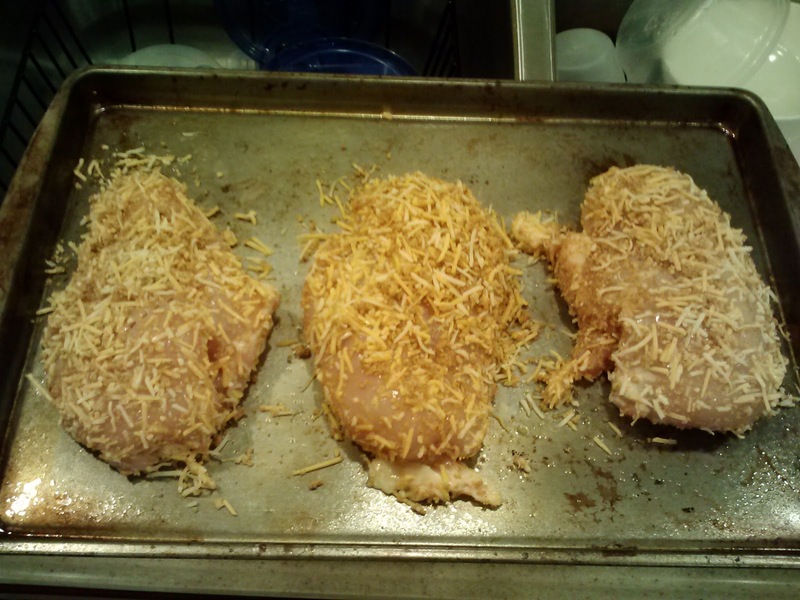 Then simply roll each piece of meat in the bread crumb mix (I coat my meat in egg beaters to make it stick better). Then I sprinkle some extra of the mixture on top. The baking directions are on the package. Chicken is baked at 375 for 28 minutes. 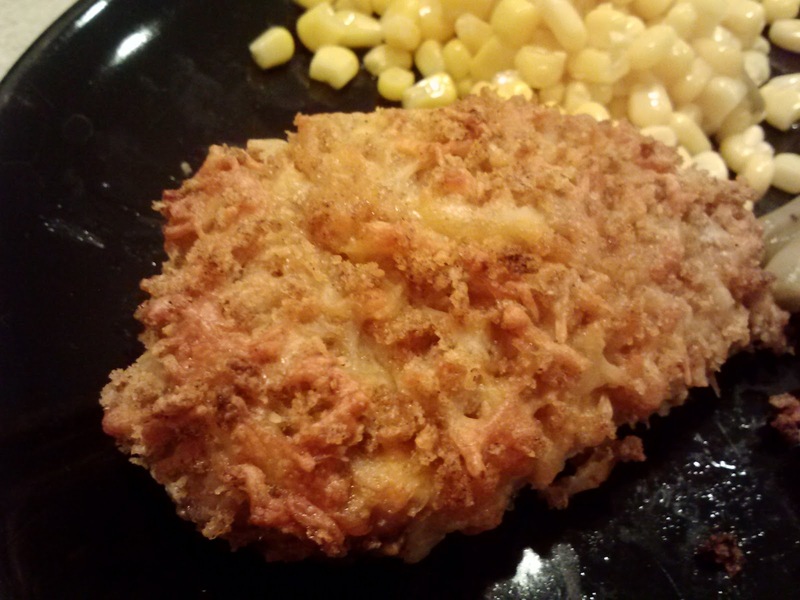 In 30 minutes you have a simple but delicious dinner! 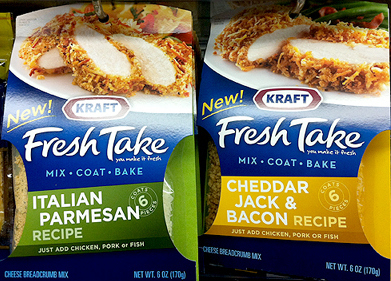 We've tried all the flavors. 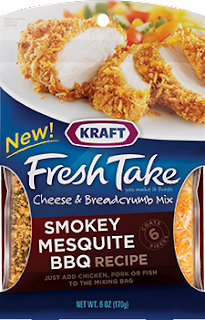 Our favorites so far are the Smokey Mesquite BBQ and the Cheddar Jack & Bacon. 1/6 of the package adds only 100 calories to your dinner! Yum! Simply add some corn and green beans and you have your whole meal! And for dessert? 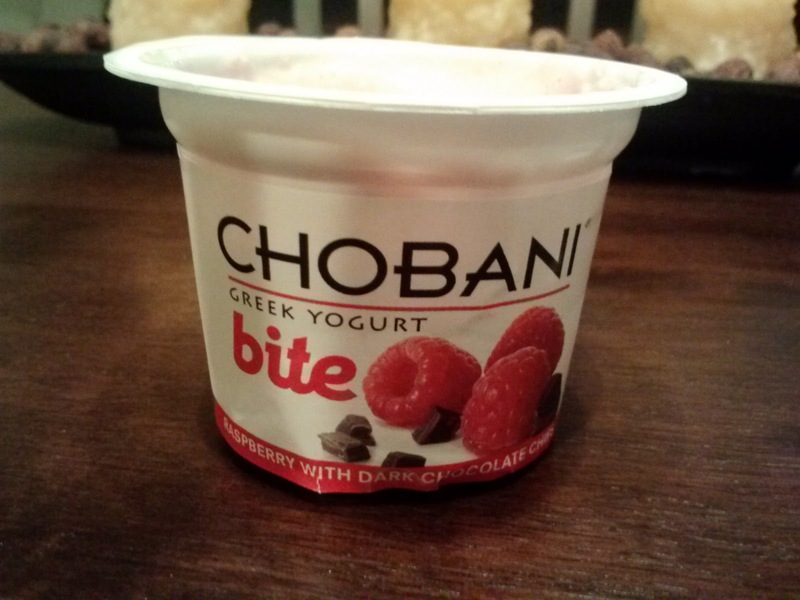 A delectable Chobani bite - raspberry with dark chocolate chips. Only 100 calories - and worth every last one!